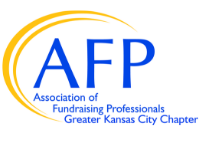 ​The AFPKC Chapter offers several scholarships to support professional development for fundraising Professionals. Click the links below to determine if one or more of these scholarship opportunities are the right fit for you. The 56th Annual International Conference on Fundraising will take place in San Antonio, TX, March 31 - April 2, 2019. This is a wonderful opportunity for all members of the fundraising profession to sharpen their abilities and learn from their peers. This conference offers the broad spectrum, inspirational experience and the nuts-and-bolts, hands-on tactics to successfully achieve your vision for your organization. A conference of this caliber can be a truly transformative experience for any fundraising professional. The Association of Fundraising Professionals (AFP) offers one Chamberlain Scholarship covering the cost of conference registration (approximately a $799 value) PLUS another $500 to help cover travel and lodging costs as a one-time award to a deserving individual who has not attended a previous AFP International Conference. Note that Chamberlain Scholars are responsible for a $10 payment to secure the registration. The 2019 scholarship has already been awarded, but if you are interested in attending your first conference in 2020 and getting more involved with your chapter, watch for the application opportunity this fall. The Mid-America Conference on Fundraising takes place each spring in locations around the Midwest. Each year, AFPKC offers two scholarships that will cover the cost of conference registration. This scholarship is open to AFPKC Chapter members only. The 2019 Mid-America Conference on Fundraising will take place in Wichita, KS on May 5 - 7, 2019. We are accepting scholarship applications now. Apply here. The AFPKC Chapter offers partial scholarships for chapter members to offset the cost of applying for the CFRE. Click here for more information or to complete an application. The AFP Mid America Chapter has established a scholarship program for prospective members. The program is targeted to appeal to students interested in the non-profit sector, to newly employed and job-seeking fundraising professionals as well as professionals working on behalf of a small non-profit. This scholarship will cover the global and chapter membership dues for an individual AFP membership. To be eligible, the applicant must either self-identify as being from a diverse community or represent an organization serving a diverse community. Eligible diverse communities as defined by AFP Global include African-American/Black, Asian, People with Disabilities, Faith-based, LGBTQ, Hispanic, Jewish, Rural, or another underrepresented community. To get started, complete the AFPKC Diversity Scholarship Application. If you have questions about any of these scholarship opportunities, please contact us at support@afpkc.org or 816.226.6383.